No, it's not a magic bean situation: the stylists behind Kim, Gisele and Angelina fill us in. As we've established, the choppy, non-mom-like crop is de rigeur. Cool, right up there with cucumbers and Nike slides. But like all good things, sooner or later, the pendulum will be swinging in precisely the other direction: the direction of long, satin-y Disney Princess hair. 100 strokes with a Mason Pearson brush every night hair. Not the Kate Middleton variety, but the kind you can rationally imagine as having an integral role in a fairy tale, chirping cartoon birds at your side to braid it every morning. For all of the satisfying immediacy of taking a pair of glinting, super sharp scissors to your ends, the allure of long hair is in part due to it's unattainability—it's all in the longing, y'know? But it doesn't have to be that way. Or at the least, the very literal growing pains can be eased with the help of supplements (that, and less-intriguing, more common sense fixes like regular trims and healthy fats in your diet). Here, the stylists behind everyone from Kim Kardashian to Gisele Bündchen (#hairgoals) divulge their go-tos. "One of the most common complaints I receive from my clients is that they wish their hair would GROW! Whether it’s too thin, balding in places or just not growing fast enough, hair growth issues are extremely common. 1. 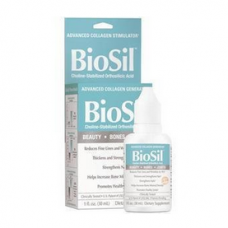 Biosil, which contains collagen, keratin, and elastic, creating thicker hair strands that grown in stronger and faster (added bonus: it’s a great anti-ager for the skin!). 2. 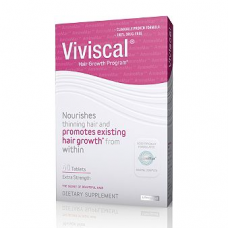 Viviscal, which is great for anyone who has thinning, weak, or a bad haircut they want to grow out fast. I recommend this a lot on set to people whose hair has been damaged from over-styling. 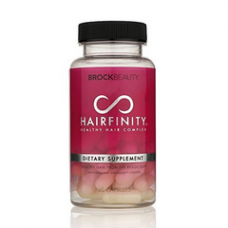 "I love Viviscal or Biotin pills. It takes three months from my experience to really notice the shift in your hair where your strands grow faster and are thicker. 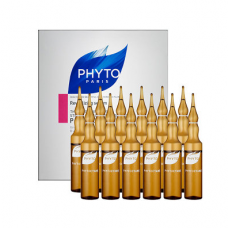 It essentially it takes three months for the vitamins to be running successfully through your veins and in turn promote healthy sebaceous glands which in turn provide healthier hair growing out of scalp."